Every four years, the general elections capture the imagination of millions, but as it usually turns out, the disappointments are always greater. On this electoral year, the media circus focused primarily on the exotic presidential candidates. Among these we could find: the ex-general accused of war-time atrocities by human rights activists, a former Nobel Peace Prize laureate who is not only female but indigenous as well, the one time guerrilla commander, a physically challenged businessman, and the usual suspects who represent the different interest of the oligarchy, among others. Over a dozen presidential hopefuls could be found in the ballots. 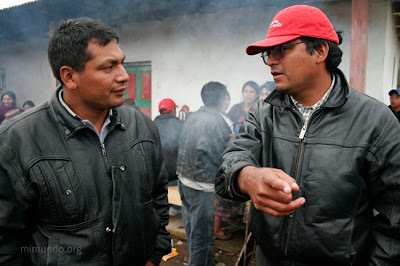 Nevertheless, here in Guatemala, local power structures play an overpowering role, especially in rural communities. Hence, the competition to gain municipal authority is fiercely contested for. Such local democratic processes allow for the possibility of enhanced political representation, elevated manipulation, or even potential violence. 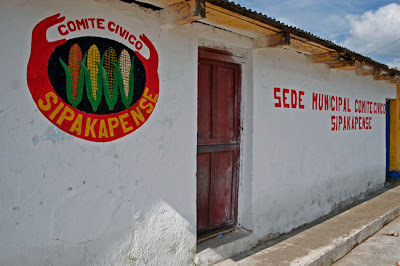 In Sipakapa, those who have led the lengthy struggle against the unjust and destructive mining activities in their municipality united to seek political power by forming the so-called Sipakapense Civic Committee. The following photo-essay documents key moments during the last 48 hours of the electoral process as lived by members of the SCC and the people of Sipakapa. 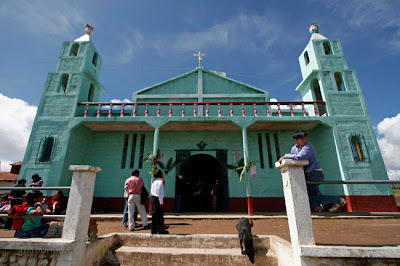 The municipality of Sipakapa, found in the western highlands plateau, is conformed almost in its entirety by the unique ethno-linguistic Maya Sipakapense group. The Tajumulco Volcano, Guatemala’s highest peak, can be seen in the background. Locals await the arrival of Monsignor Alvaro Ramazzini, Bishop of San Marcos, who would be delivering a special mass in celebration of Sipakapa’s patron Saint Bartholomew. During the mass, a wedding ceremony is carried out as well as 28 baptisms. Delfino Tema Bautista (background on the right), running for Municipal Mayor with the Sipakapense Civic Committee, attends the ceremony. Delfino Tema Bautista and Monsignor Ramazzini eat lunch together. 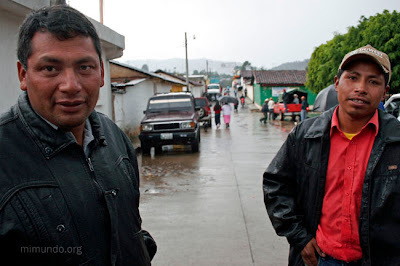 Both men have arduously opposed mining activities in Guatemala due to the destructive nature of the industry. 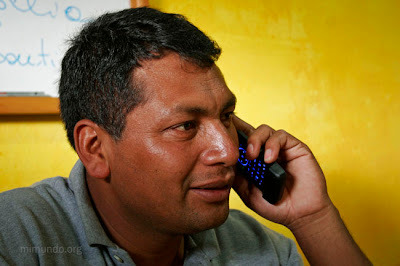 Tema Bautista founded the popular Sipaestereo radio station nearly a decade back and was a key member in organizing the now internationally renowned Sipakapa Metal Mining Community Consultation in 2005. The electoral process begins in Sipakapa with four ballots available to voters: Presidency, National Congress, District Congress, and Municipal Mayor. 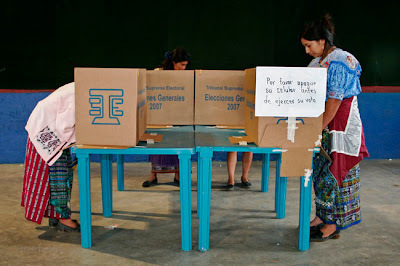 Eighteen so-called voting tables are distributed amongst two voting centers: one in the Municipal Capital and another one in Tres Cruces Village. 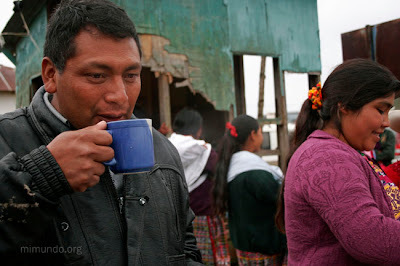 Delfino gets lost in thought while he sips an Atol with rice (maize-based drink). With only 34 minutes left before the electoral booths close, Delfino shares a moment with his mother. Members and supporters of the Sipakapense Civic Committee begin to congregate at their headquarters while waiting for the electoral results. 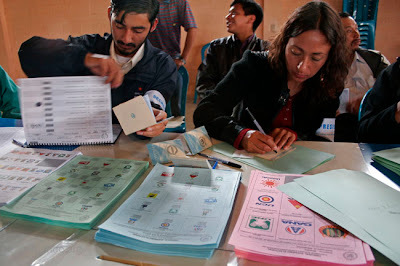 Mario and Juan Tema Bautista analyze the partial results as the final information from the 18 individual voting tables within the municipality arrive one at a time. With the final results in from 17 voting tables, the Civic Committee maintains a minimal edge of 71 votes over the incumbent. The one table left, however, is located in the Municipal Capital so members of the Civic Committee expect to lose it. Some have a hard time controlling their nerves. The results from the last voting table finally come in and the Sipakapense Civic Committee holds on to win the municipality by just 46 votes. Locals euphorically fill the streets of Sipakapa and begin to celebrate. 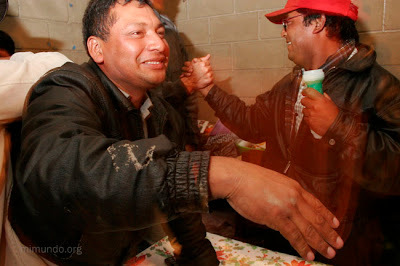 1 Sahagún, Felipe. “Las Elecciones mas Violentas desde el Fin de la Guerra Civil”. Elmundo.es – Internacional. September 7, 2007. 2 Interview with Delfino Tema Bautista. Sipakapa, San Marcos. September 9, 2007. 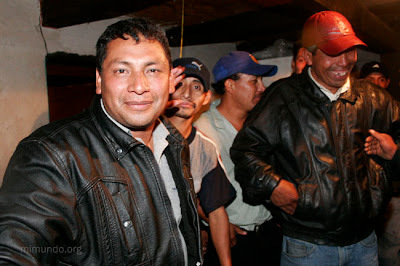 5 Tema Bautista, Mario Perfecto y Aq’ab’al Audelino Sajvín Barreno. Ojor Na’tb’al Rwach Qtinmit: Memoria Sipakapense. 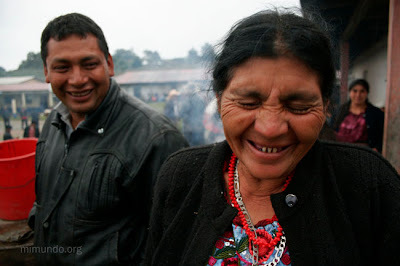 Academy of Mayan Languages in Guatemala, 2003. P. 11. 6 Solís, Fernando. “Caracterización de las elecciones generales 2007”. 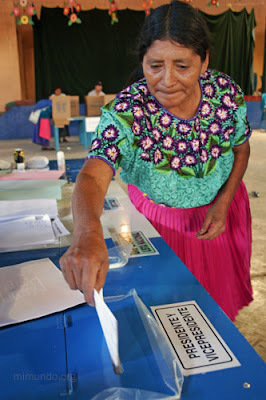 El Observador Electoral. Segunda época, No.1, p. 15. Guatemala, April 2007. Posted in: Photo Essays. 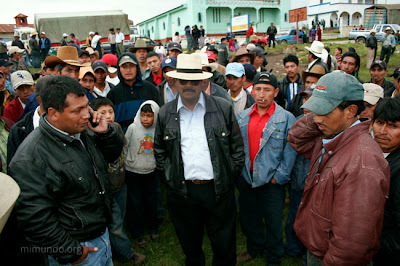 Tags: canada, elections, gold, goldcorp, marlin mine, mining, sipacapa. 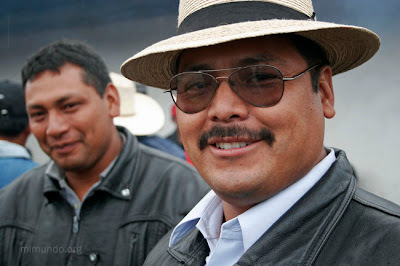 I’m guatemalan, living in Dallas Texas; I’m interested in get involved and sponsor a family in Guatemala. 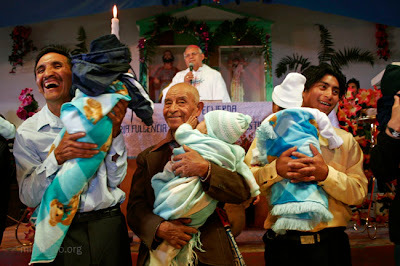 I know this family live in Amatitlan, Guatemala. How they can get in touc with the organization and become a “costumer”. I not only want to give the loan as soon as possible, but also want to get my church friends involved. I sent an e-mail to Mr. Mollinedo, but the e-mail got back to me. Please contact me.